World-famous magician; death-defying escape artist; fearless stunt performer. That was the man. But where did his legend begin? New York City, 1886. Harry Houdini is just a penniless street urchin dabbling with a few escape tricks. But when a well-known magician goes missing in mysterious circumstances, Harry and his young friends, Arthur and Billie, are sucked into a deadly adventure. Now Harry must put all his extraordinary skills into action – not just to solve the mystery – but to stay alive. Because when he falls into the clutches of some of Manhattan’s most dangerous villains, his spectacular escapes won’t be for show: they’ll be a matter of life and death! 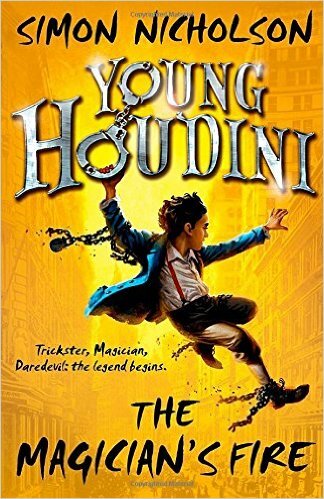 Find Young Houdini: The Magician’s Fire at Amazon.